Justice Karnan’s transgressions demanded a stern internal chastening. The Supreme Court’s use of its contempt power is worrying. The Supreme Court has exercised a super-ext­raordinary power against Justice C.S. Karnan, not prescribed by the Constitution. Chief Justice of India J.S. Khehar has the right to constitute a seven-judge bench, but it cannot be directed against a judge of a high court who has security of tenure and can only be removed by impeachment, and has civil (1850 Act) and criminal (Penal Code) immunity. The Karnan controversy is not about what he did judicially. No doubt as a high court Judge, Karnan’s conduct was unbecoming. Who can discipline a high court judge giving off­ence extra-judicially? If something is amiss in a judgement, the Supreme Court can correct him in appeal. When the SC makes odd remarks, they cannot be easily corrected. But what of a judge’s random defamatory rantings against other judges? Judges cannot really file a suit for civil and criminal defamation. Here we are dealing with the judiciary as an institution. The Supreme Court’s invocation of its contempt jurisdiction is questionable. How have these aberrations been dealt with earlier? The straightforward power is that of impeachment under (Article 124 for Supreme Court and 217 for HC judges). The impeachment of V. Ramaswamy (1993) was defeated in Parliament; Justice Sen (Calcutta) resigned, obviating further proceedings. Justice Madan escaped even that. Proceedings are pending against Justices Gangele, Nagarjuna Reddy and Manjunath. 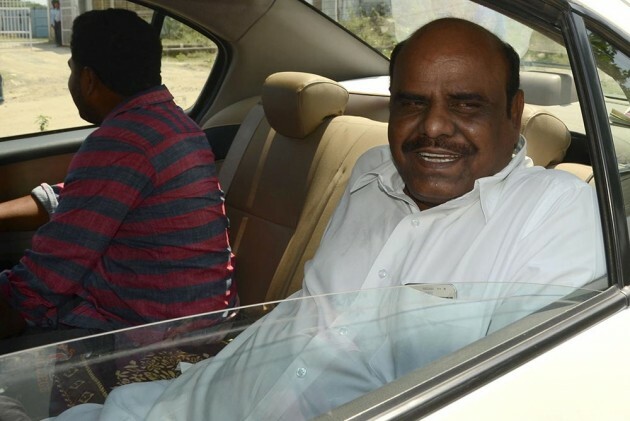 Why was impeachment not processed in Karnan’s case? The problem was practical. Karnan was appointed on 31.03.2009 and is due to retire on 12.06.2017. Impeachment (which has to be triggered by MPs) would have become pointless since Karnan will have retired by then. So the Supreme Court took a short cut to punish Karnan by process and, possibly hand out punishment before the June deadline. Should the Supreme Court make such short cuts? In the Karnan case, the SC has simply assumed that it has jurisdiction over the extra-judicial behaviour of high court judges! A second method is to persuade judges to resign or repent and fall in line. This happened in the Bombay case where chief justice Bhattacharya resigned. This is best if it works. The third method of disciplining high court judges is to transfer them. Although the power to transfer exists (Article 222), this is an invidious practice of covert punishment without consent. When Chief Justices (for example, Roy and Dina­k­aran) were transferred to Sikkim, the Sikkim Bar protested that undesirable judges should not be dumped on their court. In any case, Karnan was transferred to Calcutta at the request of Madras CJ Aggarwal and, when in Calcutta, quarrelled with judges. Calcutta CJ Chellur gave him a single judge jurisdiction. His accusations continued. The fourth solution is the Khehar solution—to constitute a seven-judge bench. The SC went into action with its contempt power. Karnan was initially contrite. Rep­ortedly, he said he was mentally unstable and even wrote that he will “continue to foster a harmonious attitude...towards all”. His angst has been that he is a badly treated Dalit and was exposing corruption of 20 HC and SC judges. After the Supreme Court’s contempt notice and later the warrant for arrest, he defiantly asked the seven SC judges to pay Rs 14 crores as compensation to him, an illegal demand. The contempt power should not have been used against Karnan. The Supreme Court (Article 129) and high court’s (Article 215) inherent power to pun­­ish for contempt are constitutionally and statutorily separate. In the Nadiad case (1991), the SC held police officers in contempt for beating up a judicial magistrate in Gujarat. While fully analysing its purportedly extended jurisdiction, it held that the SC’s “inherent” power for contempt was “extensive”, but recognised an “absence of any express provision in the Constitution”. It invoked the extraordinary power to do complete justice (Article 142). The decision has to be confined to its facts, i.e. misbehaviour against judges. The present case is alleged misbehaviour by a high court judge. In the Karnan case, the Court has embarked on extraordinary judicial power. Nadiad is a limited precedent, confined to its facts. In the Karnan case (2017) the SC simply assumed it had this jurisdiction over the extra-judicial or other ext­raordinary behaviour of high court judges! The wider message to high court judges is: “Behave yourself, the Supreme Court is watching you and can punish you”. What usurpation! What fri­­ghtening consequences for judicial ind­­ependence. The saddest part is the Attorney-General’s ipse dixit, that such a power existed, while others murmured approval. This was the basis of the SC’s notice. It was not discussed in any elaborate way as in the Nadiad case or as is required of the higher judiciary. True, the contempt power can be used in lieu of defamation. The SC went further and denied Karnan of his judicial docket as well as administrative duties. This was a punishment, along with adverse publicity against the judge. In the Ramaswami impeachment (1993), such powers were not used by the Supreme Court. Perhaps, a case could have been filed and Karnan chastened. The present case has gone to ext­­r­emities. The Apex Court will not withdraw or discharge the notice. Karnan’s conduct remains both defiant and abusive. The next date in the Supreme Court is March 31. Let us see what happens. Why was Karnan appointed in 2008? CJI Bala­krishnan in 2017 says that he had not known or had any way of knowing of him. What an abdication of duty by the collegium and him! No proper mechanism exists in India to deal with errant HC and Supreme Court judges; the only Constitutional solutions are impeachment which, even if accelerated, can be evaded by a resignation or even Parliament. Transfer is punitive but precarious. Persuasion requires a tactful approach. The present solution is dramatic, controversial and legally doubtful—exposing not just the judge but the judiciary into invidious controversy. For subordinate judges, power vests in the high courts. There are instances where it appears that the power has been exercised vindictively. At the higher level (HC & SC), the Khehar solution of using the contempt jurisdiction of the Supreme Court is not a permanent solution. How will this power be used? Anytime and every time? What an excess would that be? Or was the solution a warning to all high court judges which will inure for some (if not every) time. It is an unfortunate solution. The errant judge problem exists everywhere in the world. A survey shows that an internal solution exi­sts in both common and civil law jurisdictions. I will take America as an example. My research examines the systems in motion in the US, including int­ernal single and double tier systems. There are instances of a judge who was imprisoned asking for his salary. In Canada, I know of an Ontario instance where a judge who was hauled up for drunken driving was duly warned. In these circumstances, a report drawn up through the internal mechanism has effect. The ultimate power of impeachment remains. Why was Karnan appointed in 2008? Ex-CJI Balakrishnan says he had no way of knowing of him. What an abdication of duty this is! Unfortunately, in India, the greatest controversies have been on the power of appointment. In 1992, the SC abandoned the Executive model (in consultation) with the judiciary. The amendment to change this was rightly struck down by a 4:1 bench presided by Justice Khehar. A new amendment should follow. Even now, the Union de-facto has the upper hand. But between appointments and removal by imp­eachment, there is a vast space of monetary and disciplinary mechanisms controlled by the judiciary on a formal rather than informal basis. This will req­uire a Constitutional amendment which would be consistent with the basic structure requirement of independence of the judiciary. It would enhance that independence and public perceptions of it. The Khehar solution is not the right way. Is it just a one-time measure? The next time will this be inv­oked by a two-judge bench of the SC? It should not be treated as a precedent. Karnan has misbehaved and needs to be condemned; but not in this way.